#1 DUKE 88, Cornell 47 - Seth Curry scored 20 points, Mason Plumlee added 18 and No. 1 Duke reeled off 23 straight points in a rout of Cornell on Wednesday night. Freshman Rasheed Sulaimon had 16 points and Quinn Cook had a career-high 12 assists while showing up all over the box score for the Blue Devils (10-0). Texas 85, #23 NORTH CAROLINA 67 - Sheldon McClellan scored 18 points and struggling Texas upset No. 23 North Carolina. Julien Lewis added 16 points for the Longhorns (7-4), who are off to their worst start since coach Rick Barnes' first season in 1999 while playing without star guard Myck Kabongo. The NCAA is investigating the sophomore's relationship with an agent and the Longhorns have given no indication when or if he'll return. Reggie Bullock led the Tar Heels (8-3) with 18 points and 13 rebounds. It was the first loss for North Carolina since being clobbered by then-No. 1 Indiana on Nov. 27, and this was mostly another humiliation after trailing by as many as 19 points. VIRGINIA 75, Morgan State 57 - Akil Mitchell had 15 points, 12 rebounds and seven assists and Virginia overcame sloppy play to beat Morgan State, the Cavaliers' eighth consecutive victory. 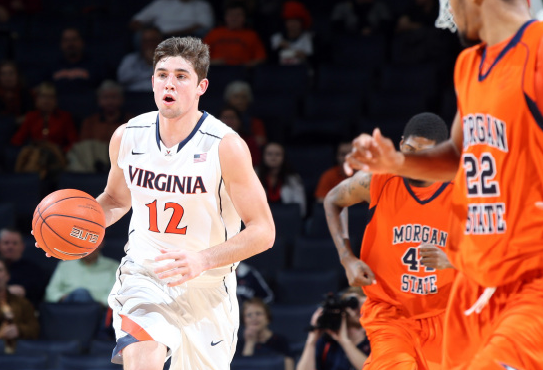 Darion Atkins added a career-high 17 points and Joe Harris scored 14 for Virginia (9-2). DeWayne Jackson scored 32, tying the record for an opponent at John Paul Jones Arena, for the Bears (3-5). The 32 points was also achieved by Clemson's K.C. Rivers and Penn State's Talor Battle. Coastal Carolina 69, CLEMSON 46 - Coastal Carolina led by eight at halftime and shot 54 percent in the second half on its way to a convincing victory over Clemson. The Chanticleers improved to 4-5 with the win, while the Tigers fell to 6-4 with the loss. The 23-point margin was the worst defeat in 75 games under current Head Coach Brad Brownell. Clemson struggled on both ends of the floor. The Tigers shot just 32 percent from the floor, including 4-of-21 (.190) from three. Clemson had a season-high 18 turnovers as well, which led to 20 points for the Chanticleers. Coastal, conversely, shot 46 percent for the game and made 9-of-23 from deep, 39 percent.